Passengers aboard a United Airlines flight out of New Jersey found themselves stranded at a Canadian military base for more than 15 hours. United Flight 179 left New Jersey’s Newark Liberty International Airport on Saturday afternoon, destined for Hong Kong International Airport. But a medical emergency diverted the flight to Goose Bay airport in Newfoundland, Canada, flight records show. The plane landed at the Canadian military base around 10 p.m. local time. Passengers were finally able to leave around 3:30 p.m. the next day, according to United. During the time in Canada, passengers could not leave the plane, because customs officers do not work at the base overnight. To make matters more complicated, United said in a statement that the plane “experienced a mechanical issue” before departure. Passenger Steven Lau shared a photo of a United worker trying to fix an emergency exit door of the plane. A quick repair didn’t happen. So, a different plane was sent to pick up the customers. When the plane arrived, it flew passengers and their luggage back to New Jersey, arriving around 6 p.m. They were no closer to Hong Kong than they were a day earlier. 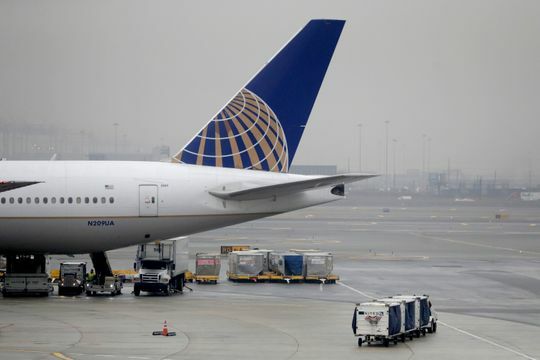 United issued an apology during the delay, saying in a statement shared with USA TODAY that it was “doing everything possible” to help customers. Passenger Sonjay Dutt shared the forecast from the base, a frigid negative 19 degrees. Now, we will get off this plane and switch to the rescue plane to take off back to Newark. It’s taking too long to fix the door on this plane. During the ordeal, passengers shared concerns about food as the hours rolled on. Lau said about 13 hours after landing, someone brought the crew doughnuts, sandwiches and coffee from Tim Hortons, Canada’s quick-serve restaurant. United said that as passengers arrived back in New Jersey, they were offered meals, hotel accommodations and compensation.